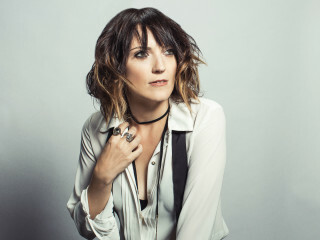 Jen Kirkman is a national and internationally touring stand-up comedian. Her 2015 Netflix original comedy special, I’m Gonna Die Alone (And I Feel Fine) was named one of the Top 10 comedy specials of 2015 by Time Out New York, New York Magazine, and The Atlantic. Her most recent Netflix original comedy special, Just Keep Livin’? is streaming worldwide as of January 2017. Kirkman is also a New York Times Bestselling author, her two comedic essay memoirs, I Can Barely Take Care of Myself and I Know What I’m Doing and Other Lies I Tell Myself; (Dispatches From a Life Under Construction) are hilarious looks at her life without children, and living a not-so-conventional life after 40.